Every sports team likes to get off on the right foot at the start of the season, and there isn’t a better way to do so than getting the better of your rival. 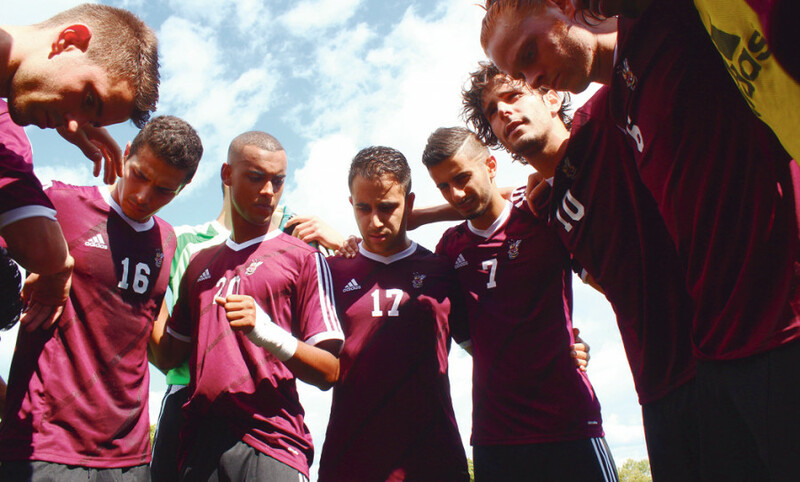 The Stingers men’s soccer team had hoped to do that over McGill on Sunday. Unfortunately, Concordia fell short of their goal, losing 2-1 to the Redmen. After battling for most of the game at 1-1, the Stingers allowed the winning goal in the 56th minute from McGill’s Alexander King, who scored off an assist from teammate Antoine Chauvel. “We made a lot of little stupid mistakes that cost us the game,” added Stingers forward Vincent Murray. Seemingly frustrated by the end of the match, Murray was involved in a skirmish with McGill’s goalkeeper after a scoring chance. Goalkeeper Max Leblond, who took exception to Murray running into him on the chance, reached for and grabbed Murray’s neck. “The rule with goalkeepers is that you’re really not allowed to touch them, but as a striker, you’re obligated to go for that ball,” explained Stingers defender Olivier Georges. The grabbing incident was among the many fouls and bits of physical play that occurred throughout the game. McGill and Concordia were charged with 15 fouls apiece. Each team also received three yellow cards, but there were no expulsions. 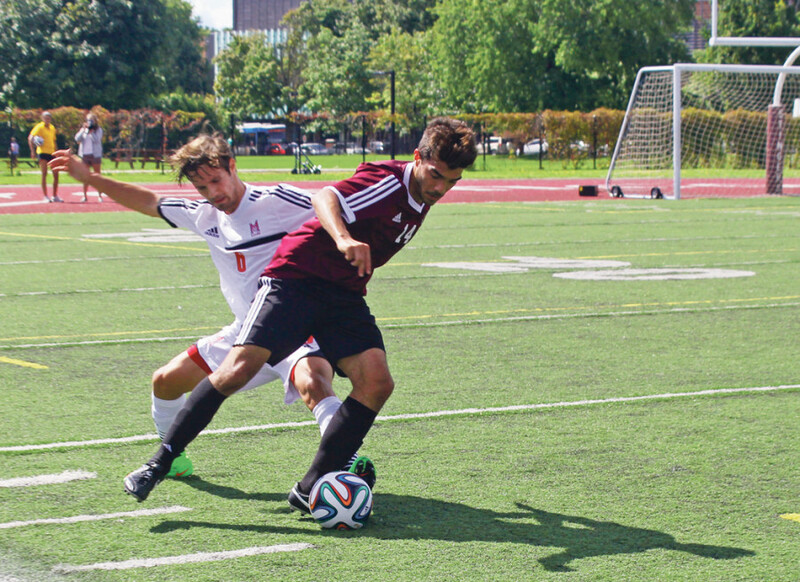 Concordia found itself down a goal from the 23rd minute of play when McGill midfielder Valentin Radevich opened the scoring with a goal past Stingers goalkeeper Wes Aucoin. The goal did not beat the Stingers down, as they replied near the end of the first half with a goal from midfielder Nick Sisti, who headed his equalizer off a corner kick from midfielder Karim Haroun. The Stingers felt they were on the cusp of a positive result until allowing the game winner in the 56th. “We just need to continue to push after scoring that first goal,” Sutton said. The Stingers now sit at 0-1 on the season.